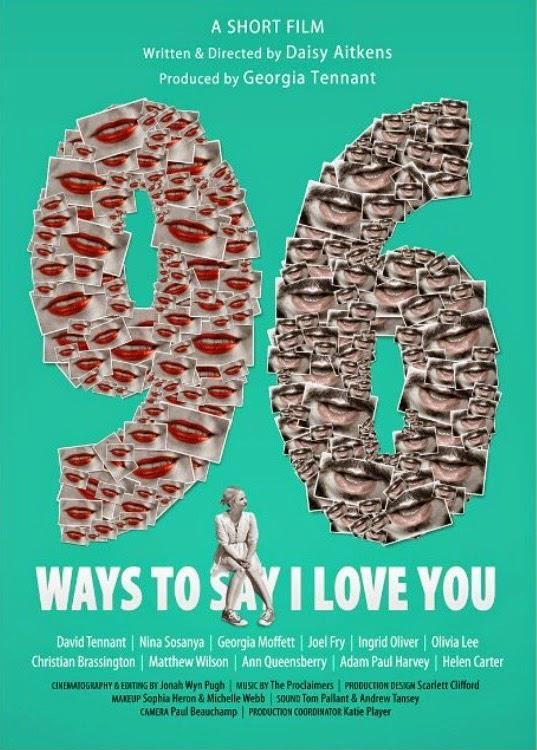 David Tennant starred in the short movie 96 Ways To Say I Love You which played to a few small film festivals before it was put online. David Tennant played Mark in the 11 minute short mockumentary about two people saying three special words for the first time. The film was written and directed by Daisy Aitkins and produced by Georgia Tennant. Director Daisy Aitkins wrote about her film 'I want this film to be a love letter to all those people who are worried about saying I Love You. Say it. Trust me. You will learn a lot more about yourself if you stride out and embrace the emotional surf that knocks you off your feet.' 96 Ways To Say I Love you follows couples saying "I love you" for the first time. Also iin the cast were Georgia Tennant, Joel Fry, Nina Sosanya, Ingrid Oliver, Christian Brassington and Adam Paul Harvey. Link to posts related to 96 Ways To Say I Love You on Blogger.com (with more detail).